One aspect of Chaos Magick that seems to upset some people is the Chaos Magician's (or Chaoist, if you like) occasional fondness for working with images culled from non-historical sources, such as invoking H.P Lovecraft's Cthulhu Mythos beings, mapping the Rocky Horror Show onto the Tree of Life, slamming through the astral void in an X-Wing fighter, and 'channeling' communications from gods that didn't exist five minutes ago. So you might see why using this sort of thing as a basis for serious magical work raises one or two eyebrows in some quarters. Isn't after all, the Lovecraft stuff fiction? 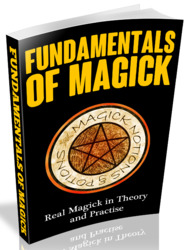 What about linking in with 'inner planes contacts', 'traditions', etc - surely you can't do magick with something that doesn't bear any relation to history or mythology? In the past, such criticisms have been raised over the subject of magicians working with 'fictional' entities. In this section, I hope to argue the case against these objections. Phil Hine off-a-RedIndian-Shaman-honest" stuff that seems so popular nowadays. It doesn't matter which belief system you use, so long as it turns you on. Read that again, it's important. Eventually most magicians seem to develop their own magical systems which work fine for them but are a bit mind boggling for others to use, with Austin Osman Spare's Alphabet of Desire being a good example. 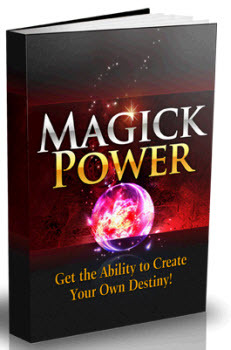 A key to magical success is veracity of belief. If you want to try something out, and can come up with a plausible explanation as to how/why it should work, then it most likely will. Pseudoscience or Qabbalistic gibber (or both) - it matters not so long as the rationale you devise buffers the strength of your belief in the idea working. I find that this happens a lot when I try and push the limits of how I try to do some magical action that I haven't tried before. Once I come up with a plausible explanation of how it could work in theory, then of course, I am much more confident about doing, and can often transmit this confidence to others. If I'm 110% certain that this rituals going to 'bloody well work' then its all the more likely that it will. You can experiment with this using the technique of belief-shifting (Robert Anton Wilson calls it Metaprogramming), a good example being the chakras. The popular view of chakras is that we have seven. Okay, so meditate on your chakras, hammer the symbolism into your head and hey presto! 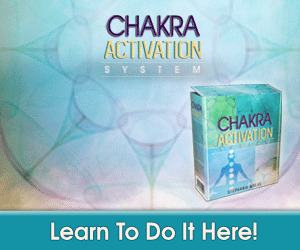 you'll start having 7Chakra experiences. 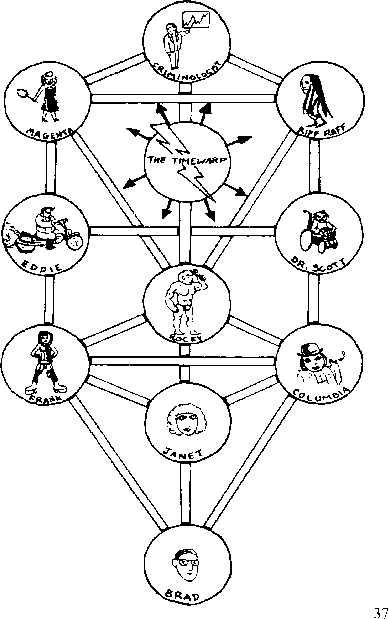 Now switch to using the 5 Sephiroth of the Middle Pillar (Qabalah) as the psychic centres in your body, and sure enough, you'll get accordant results. Get the idea? Phil Hine magical experiements, I guess that what used to be important for me was the strong belief that the system I was using was ancient, based on traditional formulae, etc. A belief system can be seen as a matrix of information into which we can pour emotional energy - we do as much, when we become so engrossed in watching a play, film, or TV programme that for a moment, it becomes real for us, and invokes appropriate emotions. Much of what we see served up on the silver screen is powerful mythic images & situations, repackaged for modern tastes, which is a cue to start going on about 'Star Trek'. Oven-Ready Chaos in the comfort of your sitting room. It's relatively easy to generate the Star Trek world, due to the plethora of books, comics, videos and roleplaying supplements which are available to support that universe. The final proof of all that being that one of my colleagues had to sit a computer exam, and was wracking his brains trying to think of an appropriate god-form to invoke upon himself to concentrate his mind on programming. Mercury? Hermes? And then he hit on it - the most powerful mythic figure that he knew could deal with computers was Mr. Spock! So he proceeded to invoke Mr. Spock, by learning all he could about Spock and going round saying "I never will understand humans" until he was thoroughly Spock-ified. And he got an 'A', so there! I might also mention that I've had some interesting results from working with a Mythic system based on (blush) C.S. Lewis's 'Narnia' books. The interesting thing about metaprogramming is that you can adopt a belief for a relatively short time, and then drop it again. When practising ritual magick its generally a good idea to, whatever you think about gods being archetypes or reflections of bits of yourself or whatever, behave as if they were real. So in a Cthulhu Mythos ritual, nothing will help build the neccesary tension than the adopted belief that if you get it wrong Cthulhu will slime you! Of course, outside the ritual you don't have to believe in Cthulhu and that even now a slimy paw appears at my window...no! No! ...ahem, sorry about that. Related to this approach is the idea that 'Suspension of Disbelief' can also be useful. To do this, take a book which expounds an idea that you find totally crap (every magician has their favourite 'crap' author) and try to see the writers message without your inner voice hurling abuse at the page. One of the most difficult 'suspensions' for fledgling magicians is overcoming the nagging doubt that "all this stuff doesn't work". Despite hours of talk and reading vast tomes by Crowley and his cohorts, that nagging disbelief can still be heard, and can only be really dispelled by experience - one act that shows you that MAGICK WORKS is worth a thousand arguments. So my conclusion is that intensity of belief is the key which allows magical systems to work, whether they be related to historical traditions (which are, let's face it, very often rewritten anyway), esoteric traditions (which have evolved down the centuries as well) or based on fiction or TV. It's your ability to be emotively moved or use them as vehicles for the expression of your will that counts. If it works for you - do it. How to use belief in chaos magick?